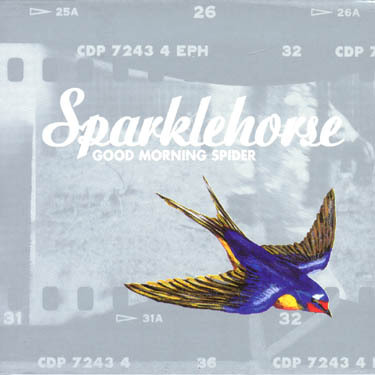 Mark Linkous, the lone multi-instrumentalist behind the ultra-surreal Sparklehorse, killed himself yesterday. His music always felt like his personal escape from the pain he was feeling. He struggled with drug addiction throughout his career, almost killing himself once before in 1995. His last album, Dreamt For Lightyears In The Belly Of A Mountain, almost didn’t see the light of day because of his severe problem with drugs and depression. Good Morning Spider was an incredibly scatter shot yet incredibly brilliant record. Despite his apparent lack of direction, he never released a bad record. The Rolling Stone report says that he was nearly finished with a new album that was to be released on Anti- Records. ~ by Andrew Baer on March 7, 2010.